Codemao, a coding-education leader company in China, announced a new financing today, which was led by Zhongying Capital and followed by Gemboom Investment. January 25th, 2019 / EqualOcean / - Codemao (编程猫), coding-education leader company in China announced a new financing today, which was led by Zhongying Capital (众盈资本) and followed by Gemboom Investment (展博创投). The financing is approximately CNY 600 million (USD 88.2 million) and will be used in its product development and coding course system completion in order to stay at the leader position of the coding-education field. Founding less than four years, Codemao maintains a record of two financing rounds per year. The co-founder and CEO of Codemao LI Tianchi (李天驰) told iyiou.com that since 2017Q4, Codemao had been doubling revenue every quarter. Dated the end of 2018, Codemao’ realized revenue was 10 times of the number in 2017 and made a single-day revenue record of tens of millions. He also asserted that in 2019, Codemao would continue doubling revenues and reach a break-even point. Codemao CFO ZHANG Wei (张炜) disclosed that Codemao would start to prepare for initial public offering (IPO) in 2019 and launch IPO within two years. Coding education has been embraced by the capital since 2015 with billions of dollars rushing into the market. Comparing to other industries with the capital winter shadowing above, education is one of a few industries that could excite investors. K12 education attracted CNY 6.33 billion (USD 931 million) investment in 2018 at a CAGR 50.12% from 2016 to 2018. It is unable to weigh how the Ministry of Education of the PRC’s policy published in 2015 that targeting at integrating STEAM (Science, Technology, Engineering, Art, Mathematics) education into K12 liberal education is influential to the market, but it is undeniable that K12 STEAM education institutes founded in groups in 2015. In 2017, the State of Council of the PRC published the announcement “China issues guideline on artificial intelligence development” and encourages computer science education. The coding education market has been booming ever since while K12 STEAM education industry is developing with speed. New Oriental (新东方), a giant off-campus education group in China, has invested several creative education startups like RoboRobo (乐博乐博机器人) dedicating in robot programming education; TAL Education (NYSE: TAL, 好未来教育), the strongest competitor of New Oriental, acquired an Israel's coding education company, CodeMonkey, in December 2018, which demonstrated its ambition in coding education playground; Coding education startups like AllDream (傲梦编程), CodePKU (编学编玩) came in bundles and received millions of investments. 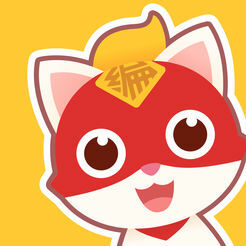 Codemao is a Chinese online education platform that teaches programming to children.